It’s an old debate among musicians and sound aficionados—is digital, solid-state audio gear better than analog, tube-based audio gear? This is additionally important to electric guitar players who want to experiment with the types of sounds they can make. It’s generally conceded that solid-state components are cheaper, smaller and more lightweight, produce less heat, and are more reliable and less prone to burning out. They also respond better to speaker mismatches, whereas a vacuum-tube amplifier is more liable to overheat or produce more distortion when used with a speaker it was never intended for. But unlike the way flat screen TVs have made tube television sets, the same can’t be said for audio amplifiers. 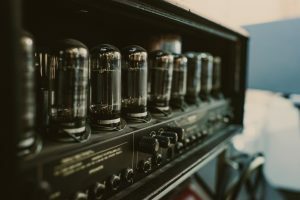 Tube-based amplifiers still are used by many sound engineers and professionals even as most in the industry have switched to solid-state transistors. Though tubes have been around for 100 years and transistor for half that period, there are some who still like the sound a tube or valve amplifier, or hi-fidelity speaker system produces: a rounder, more full-bodied, and even some would say rustic tone. The reason many has switched to transistors—the lack of significant distortion—is also the same reason others like this tonality when experimenting with new sounds, or trying to recapture the essence of older, retro music. 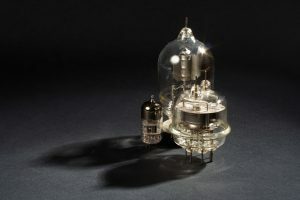 But since solid-state transistors are now the industry standard, those who want a tube-based amplifier have only two options: pay ridiculous amounts of money on an original vacuum tube amplifier you find online, or make your own. As such, this has created a whole new niche market for do-it-yourself vacuum tube amplifier kits. There are kits that use both high and low voltages and most often use single-ended triodes (SET). That there are manufacturers of these kits is remarkable enough, but the ability to customize and create your own that conforms to the exact schematics you need is even more impressive. 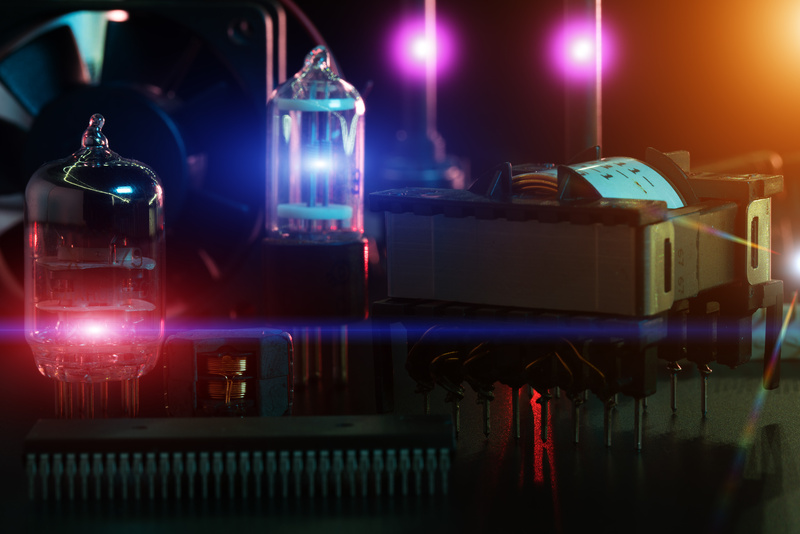 With this in mind, here are three of the best DIY vacuum tube amplifier kits currently on the market. Each amplifier kit listed below comes with the components along with a construction guide. Though this model is extremely inexpensive, don’t let the price fool you into thinking that the sound it produces is in any way inferior. The S-5 Electronics K-12M Tube Amplifier Kit sound better than more expensive models. This unit uses push-pull tube amplifiers that supply from 8W to 16W of power. Designed by George Fathauer, various models come with 11MS8, 11BM8, and 10GV8 triode-pentode tubes, while newer kits come with the 5670 triode and 6005 pentode tubes. This amp assembles with few modifications, though it doesn’t come with a case—which leaves the 220v contacts exposed. You will have to build your own case for this model to cover the base board and inside components (or order one from S-5 themselves). Otherwise, it has a nice sound, warmer than other amps such as the Marantz 2250 and Sonic Impact Super T, though the treble isn’t as distinct and the bass can be a bit muddy at louder volumes. With a smaller listening area, you won’t have to use as much power—thus nullifying the effect of any speaker mismatch or use with less-efficient speakers. The main selling point of this model is the ease with which you can not only assemble it, but customize it to your needs. You have the ability to modulate the output transfers, and the coupling capacitors, and it makes an excellent oscillator when you take the load off this amp. Though some models vary in quality depending who you order it from, any misgivings you may have about any variation of the K-12M can be addressed via customization. Another low cost, yet popular model, the K-502 boasts a fantastic looking enclosure and a stepped attenuator for volume control. This is an excellent little amp that boasts decent quality parts and the ability to research ways to adjust and customize the sound to eliminate any imperfections. For example, the amp initially features a slight hum when in use, but this is easily remedied when you find information online that details ways to customize it to reduce this hum by converting the output stage to triode mode. This has the added benefit of reducing feedback. It’s so easy to do modifications on this model; for example, you can improve the highs by bypassing the electrolytic capacitors with 250V 0.1uF film caps. Other modifications can be achieved by exchanging some components. It has enough power to stimulate a pair of Wharfedale 10.1 Diamond Speakers. For the price, there are very few kits on the market that offer both audiophile quality sound as well as good dynamics and clarity. This kit is not only easy to build, it’s also fun to assemble, and produces a high-quality sound. It uses 10GV8 triode-pentode tubes that can provide twice the amount of stereo performance as other comparable tubes. It comes with built-in volume control to allow it to be driven directly from other sources such as a CD player, a tuner, etc. What’s better, it can be plugged into a standard outlet as it operates at a lower voltage (120v) that much safer to work on when customizing the sound output when the power is on. It comes with all the resistors, capacitors, tubes, connectors, a circuit board, transformers and any other necessary hardware for mounting on the “bread board” included (though there are finished cases available from the manufacturer). The K-12G uses a red and white RCA jack for both inputs, and is designed to operate with 4 to 8 ohm speakers. For those looking to work with lower voltage stereo speakers—more for amplifying players rather than instruments—but who still want to customize the type of sound that can be produced, this unit comes highly recommended. When Should You Replace Your Guitar Amp’s Tubes?